West Virginia companies, researchers and entrepreneurs involved in technology development will soon have a new incentive to test and commercialize their research with the creation of a state matching program for federal Small Business Innovation Research (SBIR) and Small Business Technology Transfer (STTR) grants. Governor Justice signed House Bill 2550 on Wednesday, March 27, creating the program. The legislation was championed by lead sponsor Delegate Moore Capito (R-Kanawha), along with co-sponsors Delegate Eric Nelson (R-Kanawha), Delegate Ben Queen (R-Harrison), Delegate Tom Fast (R-Fayette) and Senator Corey Palumbo (D-Kanawha), who sponsored similar legislation in the Senate. House Bill 2550 will provide a $2,500 “WV Phase Zero” grant to companies or researchers who submit an SBIR/STTR application; award up to $100,000 to companies who win an SBIR/STTR Phase I grant; and, award up to $200,000 over two years to companies who win an SBIR/STTR Phase II grant. The SBIR and STTR programs encourage small businesses to engage in federal research and development (R&D) that has the potential for commercialization. As a competitive awards-based initiative, these programs enable small businesses to explore their technological potential and provides incentives to profit from its commercialization. Companies winning an SBIR Phase I award receive up to $150,000 to test their concept. 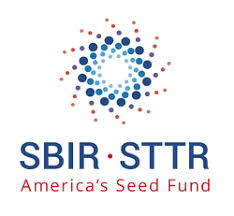 Companies winning an SBIR Phase II award can receive up to $2 million to further test and commercialize their research. Brown noted that the West Virginia Department of Commerce will develop formal program rules and guidelines over the coming months. For additional information, contact Anne Barth at (304) 444-2918 or via email at anne@techconnectwv.org.